No matter what field you’re in, when you see someone doing it at the most superb level, doesn’t it just put you in a state of awe? 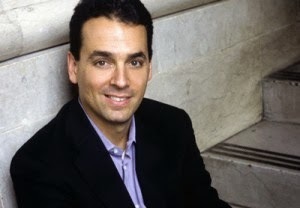 I love Daniel Pink. Like Malcolm Gladwell, he writes about ordinary things in extraordinary ways. He gets underneath the subject and explores the research on WHY it is the way it is as well as the practical matter of how we can apply that research in our own lives. I just read Pink’s To Sell is Human, and packed it in my bag to re-read on a flight tomorrow because there is just too much good material to absorb in one reading. Pink’s premise is that, in today’s economy and environment, we are all salespeople—selling our kids on eating their vegetables, selling our clients on trusting us to invest for them, selling our employees on understanding that we have their interests at heart, and on and on. Pink goes beyond just reporting and tells us HOW to sell, from how to set up the sale, what to do to make the sale, and then how to close it and follow-up. I love Pink because he says the most profound things in the simplest, most casual way. I love him because of his sense of humor and his perspective on the human condition. I love him because he takes his subjects seriously, but doesn’t take himself too seriously—a rarity on the East Coast. And I love him because each of his books is different and even better than the ones before it. I’ve marked so many passages in this book that I dare not select one to include here for fear that the others might believe I consider them less noteworthy. Please, read this book. Applicable to what each of us does every day, it provides pragmatic, salient tips on how to do what we do better and have more fun in the process. I wish I had written this book. In fact, I wish I had a fraction of the insight that Pink demonstrates on every page. On this blog and with my clients, I often discuss the power of a connective culture and how essential connectivity is to the successful operation of organizations. Although the concept of culture is often confused with ethnic diversity, what I am referring to is the invisible web that shapes thoughts and actions within an organization. I have found, in fact, that if you want to do one single thing to improve your organization, you should improve its culture. And for an example of how inspiring a connective culture can be, look no further than the Olympic athletes. It's difficult to deny how compelling the winter Olympics have been over the last several days, even if you aren't a sports enthusiast. The stories of the athletes can be shockingly dramatic. After years of disciplined practice and training, a speed skater catches her skate during the first few paces and falls out of her final race. An ice dancing couple achieves their peak performance together just in time for the gold medal competition. And did you see Bode Miller interviewed about how the loss of his brother this past year inspired him to medal? Competition on the Olympic stage can mirror a lifetime of highs and lows in just minutes, making it easy for spectators to connect with the athletes' common human experiences. Yet, beyond the drama, it's the magic of the Olympic spirit that compels us. It's motivating and inspiring to observe how the connective culture of Olympic athletes can transcend even the fiercest competitions and keep the level of sportsmanship at it's highest level. Take, for example, the Canadian ski coach who rushed over to a Russian athlete, Anton Gafarov, who had fallen and broken his ski mid-race. The coach, Justin Wadsworth, immediately came to his aid with a replacement ski and helped the Olympian fasten it so he could finish his race. The Globe and Mail reports that Wadsworth explained during an interview, "It was about giving Gafarov some dignity so he didn't have to walk to the finish area. [ ]We help because we know everyone works so hard in our sport." Wadsworth treated an opponent with dignity and respect by reaching out to assist him and, in doing so, elevated the morale of the other athletes and spectators while ensuring that Gafarov could finish his attempt, the other athletes could finish the race and the medals could be properly awarded. 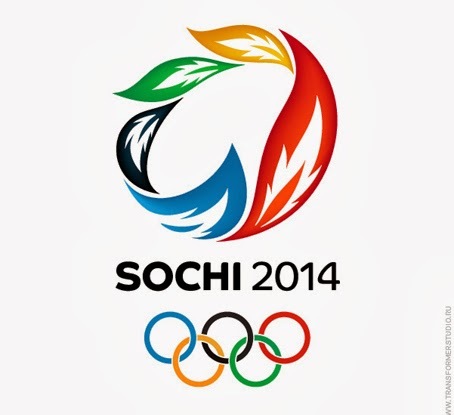 In this sense, the Olympic spirit as we all know and recognize it is a prime example of how a connective culture within an organization seeking a common purpose encourages it's participants, compels the highest level of integrity, and motivates peak performance. Just imagine how a connective culture could inspire change within your own organization. I’m always thrilled to learn about how well clients implement their strategic plans, and annually lay down the tracks to continue their plan into the future. Leaders for whom I’ve facilitated strategic plans use our Center’s iterative strategic planning cycle: Define, Design, Align, and Refine. They report that one of the most valuable qualities of this framework is that, as they “Align,” or implement, they are collecting data on performance against agreed-upon standards as well as monitoring external and internal conditions that might affect their future. When they then “Refine” their plan into the future, they can factor in this data. One client, ANNA, the American Nephrology Nurses Association, has modeled this process to keep their plan relevant and appropriate. In preparation for their annual strategic planning retreat, the board recently conducted a survey of its members regarding each initiative. They created a form completed by members that reported the extent to which they believed the organization had met its objectives for each initiative. They also asked for comments on how it had succeeded and where it had failed on the initiative, as well as about internal and external factors that influenced the initiative or could influence it going forward. The result is a robust document full of thoughtful observations, creative insights, and entrepreneurial suggestions for going forward. It will provide a rich, data-driven discussion when the board meets to extend its strategic plan into the future. All of us can learn from the work the ANNA board did to keep its focus and resources aligned with its vision. The Dalai Lama has often said that the happiest people are the most disciplined. I have frequently noted that this applies to organizations as well: The most successful are those who have the most discipline. ANNA’s leaders had to plan ahead to gather this data before their meeting. They had to be willing to take the time to think through each initiative and answer key questions about it. And they had to agree to come together in a spirit of collaboration and mutual respect. They put their own egos behind them and put the interests of their organization as their priority. This kind of mature, disciplined leadership is bound to lead to the achievement of goals—for organizations and individuals alike. If you want your organization (or your life) to HUM with purpose and harmony, dig deep to find the discipline to set goals, pursue them, measure progress, notice changes in your internal and external environments, then incorporate what you’ve learned as you adjust both plans and actions. Initially, it will seem like a lot of work, but then you will reach a tipping point and feel as if you’ve suddenly arrived at a destination that felt out of reach! Click below for a personal testimonial from Norma Gomez, President of ANNA.